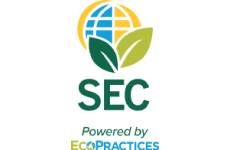 With a vision for agricultural sustainability since our inception, Sustainable Environmental Consultants (SEC) powered by EcoPractices was established in 2008. We are dedicated to bridging the gaps among business, industry and the environment. Our strategic, performance-based approach integrates sustainability into clients’ operations, resulting in greater efficiency and reduced risk, no matter the industry or business size. We offer a comprehensive line of sustainable services, including sustainability risk management, agricultural compliance and engineering, and erosion control. In support of our sustainability risk management service, we developed the EcoPractices platform to identify, collect, verify, document and report on the environmental impact from your sustainable practices. ©2019 Wright Service Corp. All rights reserved.